Forever change your headphone experience. Discover the freedom of instantaneous, Bluetooth connectivity, versatile portability and performance with earphones that play, work and run as hard you do. Answer and make calls on the go! Sorcery! 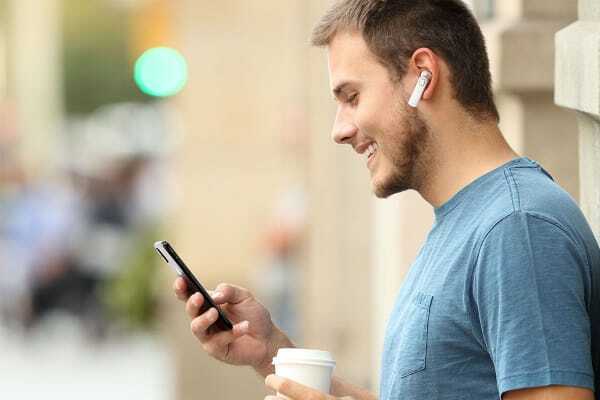 That’s what you’d say if you didn’t know any better and with the Kogan True Wireless Earphones for Apple Devices – it almost does seem like magic. Combining epic bluetooth-wireless technology and stunning simplicity, these earphones are your spellbinding solution to listening on the go. The Kogan True Wireless Earphones for Apple Devices will revolutionise the way you communicate and listen. 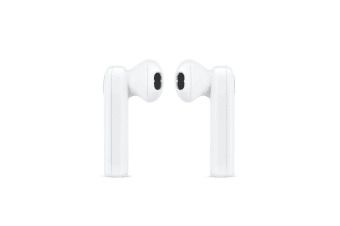 These lightweight, comfort fit earphones pair to your chosen iOS device via Bluetooth, allowing you to answer and reject calls, in addition to changing tracks. Live your life without wasting precious time untangling wires. These ultra-portable earphones are easily and efficiently energised via a portable charging pod that is as simple as the earphones themselves. They provide up to four hours of playback when not in the case and up to three life cycles (that’s 15 hours) when they are! These handy earphones also come with a built-in charging indicator and battery-balance gauge that will pop-up on your smartphone when you’re running low, so you’ll always be ready to go.